Whole Foods Market for more Natural Beauty Products! 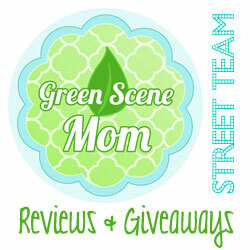 You are here: Home / Beauty and Fashion / Whole Foods Market for more Natural Beauty Products! Whole Foods Market kicked off its inaugural “Beauty Week,” March 18 through 24, to celebrate all things beauty related. I don’t know if you made a visit to your local store, but I know I did! 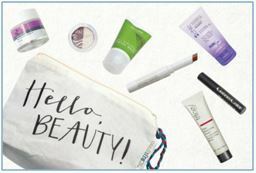 During “Beauty Week,” all Whole Foods Market locations offered a limited edition “Hello, Beauty!” bag for $18 (valued at $60). This was a Must-Buy! Recently, I participated in a product swap challenge and I had a lot of fun with this one! Basically, I had to select 5 items at Whole Foods to swap out the conventional beauty items that I use. The results? I have a new favorite body lotion and a new favorite lip balm! I also found more natural body soap and they smell so good! My favorite is Good Soap in a Sunshine fragrance and I never knew that Sunshine smelled so good! I also usually use some really good smelling bubble baths and I know they aren’t the most natural. I swapped out with natural Sea Salt souffle bath salts in a lavender scent. I also had my son try out some Good Soap in a chocolate scent and I love that this is good for his dryer skin. But, back to my two favorites! The Mineral Fusion Lotion in Waterstone and the WFM Organic Lip Balm in Sweet Vanilla are truly beauty Must-Buys! 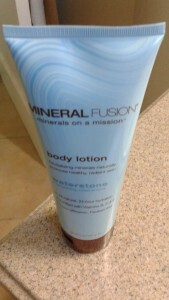 I love that the Mineral Fusion body lotion is all-natural and leaves my skin feeling hydrated. The lip balm is great for chapped lips and is so affordable! It’s price? $1.99! I loved my visit too! The customer service is always so helpful and friendly! (I went the Torrance location). I also discovered that there will be a really cool lip balm (CHOCOLATE!) later this month. I can’t wait to go! Check your local Whole Foods Market to see what fun natural beauty making classes they may offer. Self Disclosure: I received a gift card to participate in this beauty challenge. All opinions expressed are my own. Top Photo Credit: Whole Foods Market. I love their lip balm too!